Last month Kris and Kathy opened a new challenge blog called Double Delight designed to go with the weekly free digis from Designed 2 Delight! 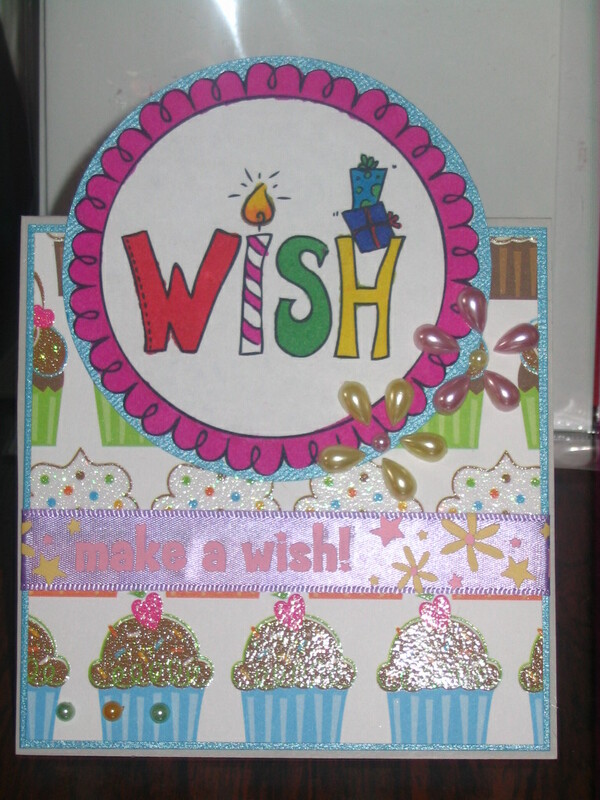 The very first challenge is to make a tent card or a tent topper card! This is what I came up with. You now have to link your challenge card to 2 places, one at Faith's Designed 2 Delight and the other is at the Double Delight challenge blog. That way you will get next week's digi FREE, and your name will be entered into a draw at the challenge blog at the end of the month to receive a gift certificate to the Designed 2 Delight Digi Stamp store. So what you waiting for go on over and grab that freebie! Oh those cupcakes look soo yummy. Great job with the challenge. Thanks for entering Double Delight challenges. Hope to see you again next time. How fun - love those cupcakes along the bottom! So bright and fun. That cupcake paper is so sweet. Thanks for playing with us at D2D this week.